These tunnels, though filled with utility pipes and cables, were once thought to be used by Central Michigan students to walk to and from buildings. One entrance is called the Warriner Pit, near Franklin Street, and was the site of the original tunnels. Today all the entrances are securely locked, but there have been rumors of drug deals and secret meetings in the depths of campus. 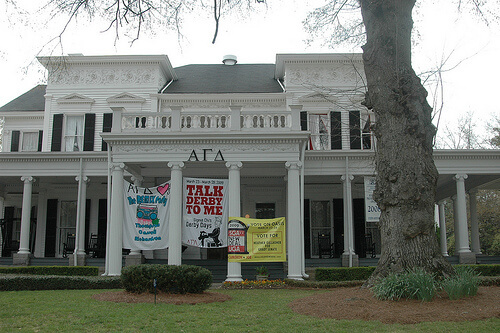 The Alpha Gamma Delta house is one of the oldest sorority houses at the University of Georgia, and the ghost that haunts it is said to have originated from the founding family. The daughter of the founder was left at the altar on her wedding day, so she hung herself in the attic of the house. Today, visitors and inhabitants of house swear that they have seen a ghostly figure through open attic windows. Harvard students, as lucky as they are already, have been known to find secret rooms attached to some dorm rooms in old neo-Gregorian Houses that lead to secret stairwells or turn rooms meant for triples into quads. Many students have used them for parties because of their value, but the rooms are kept a secret within the group of party goers. There have also been bookshelf doors that have led to rooms in the Dunster house library that provide entrances and exits in and out of the building. According to Cal students, it is believed that if one rolls down the hill near the Chancellor’s House, you will get a 4.0 GPA that semester. Of course this is simply urban myth, but no student would want to take their chances without a tumble down the grassy slope. Its origin is questioned, but consequently if one was to step on the UC Berkeley seal nearby, you are cursed for the year. 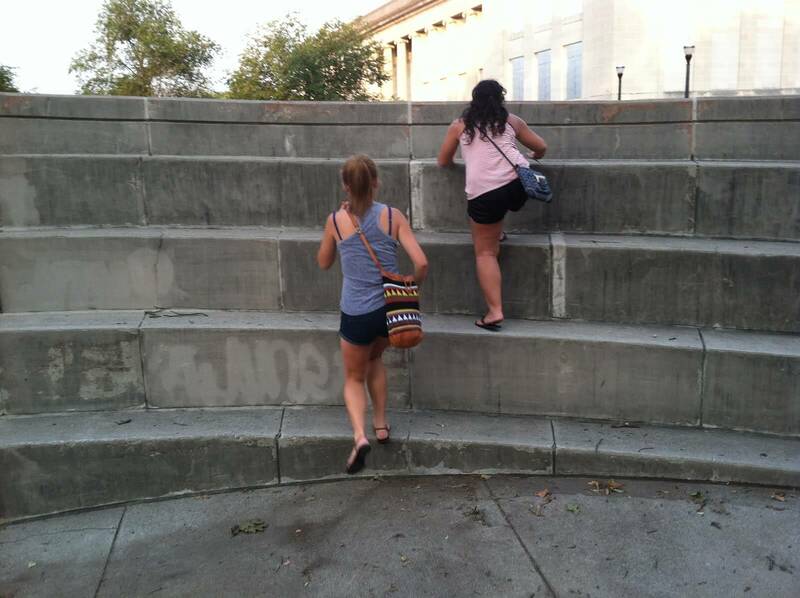 Located behind the Wexner Center for the Arts, a flight of oddly placed steps is a piece of architectural art. But the true secret lies in the whisper; if you whisper down the wall to another person in your same row on the other side of it, they will be able to hear you. Similarly, the Mortar Board Court nearby is a seal placed into the ground that if a person were to stand on it, they would hear their own voice echo back. 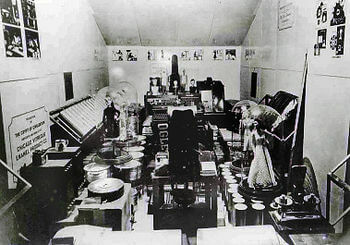 Named by the 1990 edition of the Guinness Book of World Records, the Crypt of Civilization at Oglethorpe University was the “first successful attempt to bury a record for any future inhabitants.” In November of 1936, Dr. Thornwell Jacobs wanted to create a permanent record of what life was like on Earth for future inhabitants. Because the first known date in recorded history is 4241 B.C., it was 6177 years previous, so Jacobs suggested the Crypt be opened 6177 years after, in 8113. The Crypt was sealed in 1940 and is housed in a converted swimming pool on campus. In the early 20th century, Dr. Harvey Cushing began collecting a record of his patients’ case studies, where he studied brain tumors. His registry held over 400 brains, and when he died the collected was donated to Yale where is sat for 40 years in the basement of the hospital. When they were rediscovered in the mid-1990s, they were moved to an exhibit in Cushing Center, which was named in his honor. 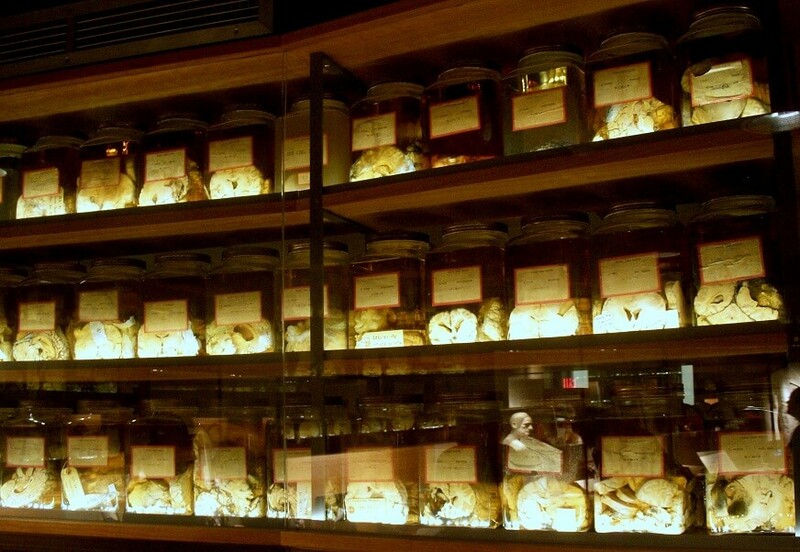 Today students are allowed to visit the museum and see the carefully labeled and organized brains that are over 70 years old.